The negative health effects of smoking have been well-documented for both those who take part in the habit and those who are forced to breathe in smoke secondhand. But a recent study shows that smoke-free policies could have a major positive impact on public health. 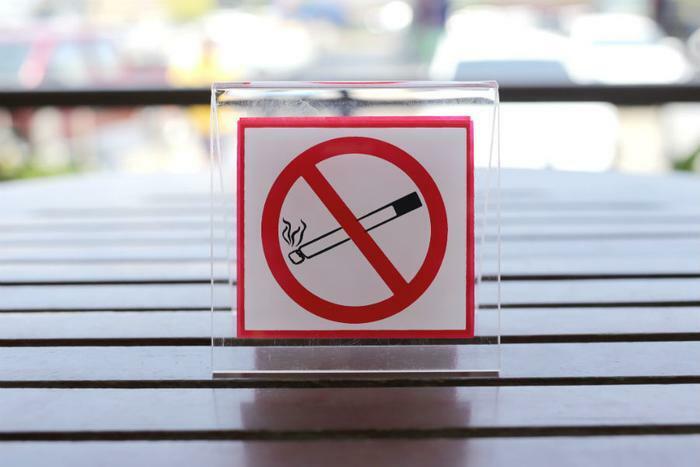 Researchers working with the American Heart Association (AHA) found that laws which ban smoking in public indoor areas such as bars, restaurants, and workplaces led to lower blood pressures for consumers who lived in those areas. “When we looked at differences in blood pressure over time within individuals, comparing years when they lived in an area with smoke-free law to years when they didn’t, systolic blood pressure was lower on average when they lived in an area with smoke-free laws,” explained Dr. Stephanie Mayne, lead author of the study. The findings follow previous research which has linked smoke-free policies with reduced rates of hospitalization for heart disease. While positive associations may appear low on a case-by-case basis, Mayne and her colleagues say that these laws make a noticeable difference at the macro level. In a series of follow-up exams 30 years after initial testing, the researchers found that consumers had blood pressure readings that averaged 1.14 to 1.52 mm Hg lower than consumers who lived in areas without smoke-free policies. The researchers believe the results could sway lawmakers into implementing policies that benefit the public. “Results suggest a potential mechanism through which reductions in secondhand smoke because of smoke-free policies may improve population-level cardiovascular health,” the report concludes. While the team hopes that more smoke-free laws will be set up soon, regulators have already been working to reduce the negative effects of public smoking. Back in June, a law went into effect that made it illegal to smoke in federal public housing units. The rule was designed to protect residents from secondhand smoke, a move which was commended by anti-smoking groups. The research team’s full study has been published in the Journal of the American Heart Association.